If you’re on the hunt for adventure Hot Safari slots online takes you deep into the wild of the Serengeti with thrills that aren’t just a mirage. Spin the reels beneath the scorching desert sun to see what majestic wildlife will come along your path to reward you with riches of the land, from meerkats to zebras and even rhinos. Make sure you stay alert because the king of the land is out there ready to pounce. And the animals aren’t the only things that are wild in this game and if you are lucky to discover them you could make it rain down in Africa. So if you are ready to embark on the trip of a lifetime, go wild with Hot Safari. Pragmatic Play is another fresh face to the online gaming industry, forming in 2015 but already pushing the boundaries of what we know of online slots. They have a decent catalog of different casino games with a solid variety of themes, however, their main focus has always been on online slots. These online slots range from classic designs to visually stunning video slots with high-quality gameplay in all. With a healthy mix of traditional and innovative, they have covered all bases and hit out some amazing home runs. View slot games here now created by Pragmatic Play on Wizard Slots. This wild and wonderful 5 reel slot game has 3 rows and 25 fixed paylines with the addition to add an extra reel will have you hunting for big game, and even bigger wins. 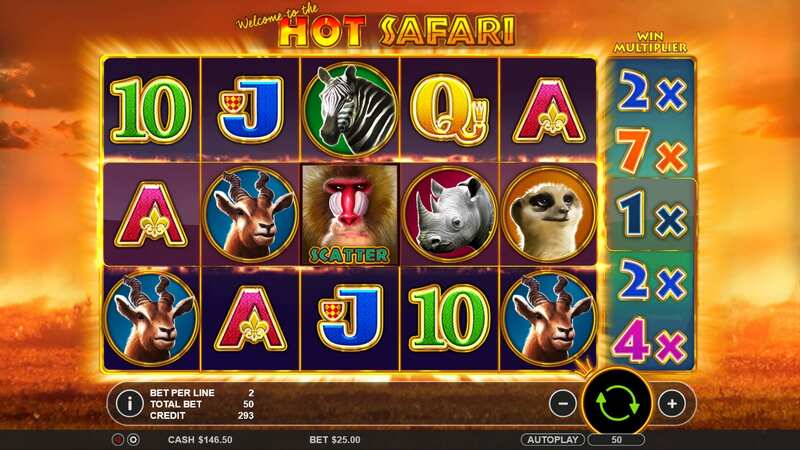 If your ready to go on this exhilarating safari that could bring you momentous wins then read on to discover more about this slot. Before you start to decide if you want to adjust the size of your wager before hitting play to get the hunt started. The bigger the wager, the bigger the wins so if you want to take down the big game consider this. Don't forget to read our guide to help you pick the most popular slots to play for new players. Hot Safari has simple gameplay that makes room for the bigger prizes and the stunning visuals. 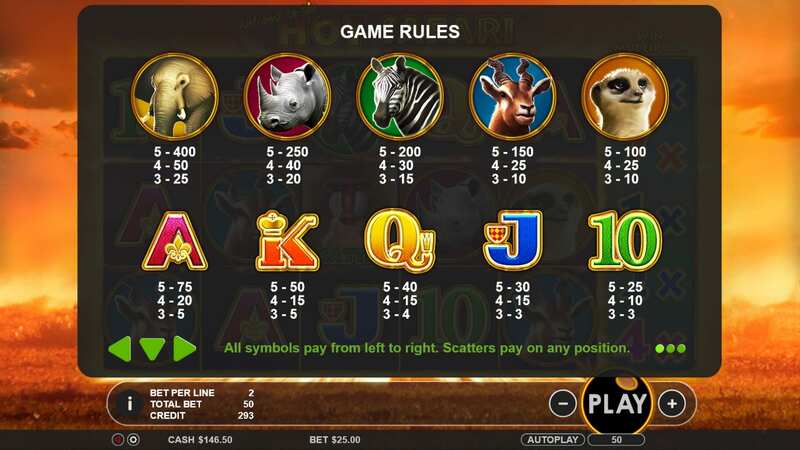 The reels are split into the traditional card deck lower payout symbols, as well as the animal symbols that gives you a higher chance to win big.